New Delhi: Japan International Cooperation Agency (JICA) is continuously striving to achieve gender equality in India by prioritizing gender equality and women empowerment through the projects it supports. Currently India stands at 108 out of 142 countries in the gender global ranking and the development of economic empowerment, improvement of health and education facilities, gender responsive infrastructure and furthering gender governance are required for strengthening of women security. For example, the Delhi Metro project, which is supported by JICA, incorporated gender elements into various aspects of the project. It introduced one coach dedicated for women passengers across all the metro trains of Delhi Metro, exclusive seat for women and CCTV camera in the station, which strengthened the security level and encouraged women to ride even at odd hours. To put it factually, 31% of the total Delhi Metro passengers are women, of which 82% travel alone by Delhi Metro. Another such example is of the Rajasthan Water Sector Livelihood Improvement Project, wherein JICA promotes gender governance. It is a gender-inclusive project, having a special focus on gender law amendment for the right to water resource management. With this project, JICA has enhanced the role of women and ensured their increased participation in Water User Associations (WUA) by establishment of WUA Women Wing, thereby promoting mainstream gender equity and women’s empowerment. The JICA-supported Swan River Integrated Watershed Management Project has brought significant change in lives of more than 6,000 rural women by forming a women’s association network called “SWAN Federation” in the Una district of Himachal Pradesh. Presently, these women are members of 425 Self Help Group (SHG), spread across 50 Panchayats of the district. These SHGs have been formed to undertake wide gamut of activities like micro savings, demonstration and dissemination of better technologies, addressing of social issues and so on, for rural empowerment through women. Similarly, JICA has been encouraging women employment in India by introducing a new method in harvesting vegetables. 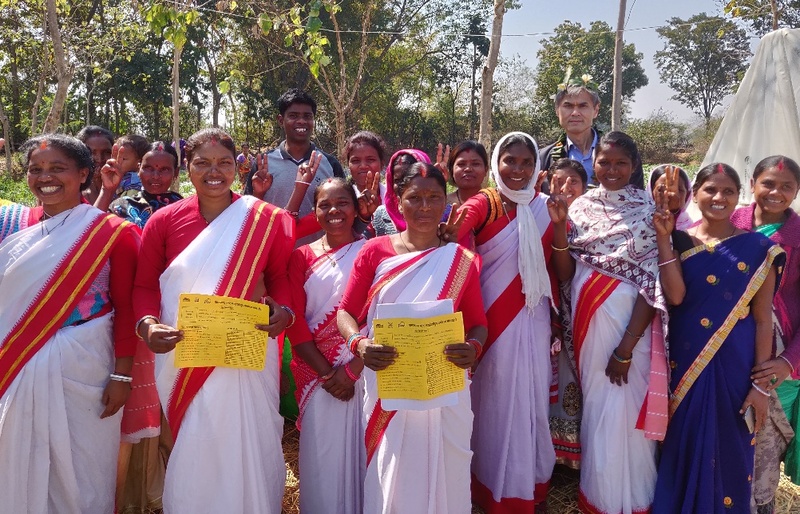 Jharkhand Horticulture Intensification by Micro Drip Irrigation Project has increased ownership for women, thereby empowering 30,000 farmers to be financially independent. women/girls are at risk of sexual harassment and to avoid any appalling incidents proximity to toilet is important for women particularly, during pregnancy. Small group common latrines ensures safety and security, and appropriate management in rural area. Therefore, JICA has been catering to sanitation requirements of women in India. By promoting projects with a consideration on gender aspects, JICA would like to continue our contribution to accelerate the achievement in gender equality in India.